This item available WILL CALL! As strong as an ox and as cuddly as a puppy, this fellow is a mighty stuffed animal. He enjoys the wide open range and cannot want to graze with you in the open fields of your or your kids bed! This is the PERFECT gift for the CU Buffs fan! I mean... a perfect Ralphie replica. 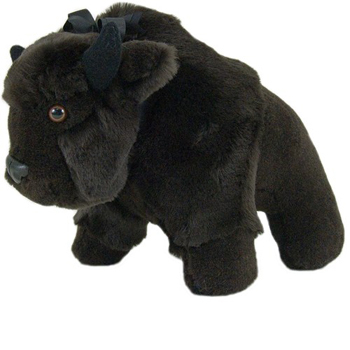 You will NOT find any stuffed Buffalos at all on the official CU online shop. As with all other Stuffington Bear Factory animals, the Buffalo stuffed animal is an American toy made in the USA. All of their teddy bears and stuffed animals are handmade from scratch using American-made materials, resulting in a high-quality, unique and safe product for your family. 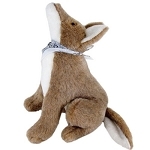 Stuffington Bear Factory has been a USA manufacturer of American Toys, stuffed animals and teddy bears since 1959.